Gin's a fox loving girl... so... I made her a fox using a tutorial from A Beautiful Mess. And guess what? 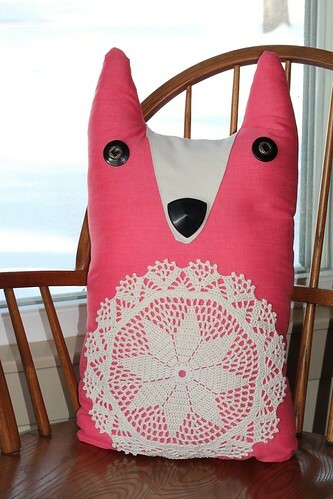 I used a sewing machine and didn't end up in a fight with it! Amazing. I made a doily from this ebook (the same I used for her doilies in last post), with size 3 thread and a 2.2mm hook. After blocking it overnight, I used Aleene's Tacky Glue to attach the doily to the front fabric piece of the fox (before I sewed the front and back together). The fox's eyes and nose are from my vintage button collection (thanks Grandma!). I thought they were perfect! You did a great work!!! I love foxes, too!!! Great fox with a lacy belly! 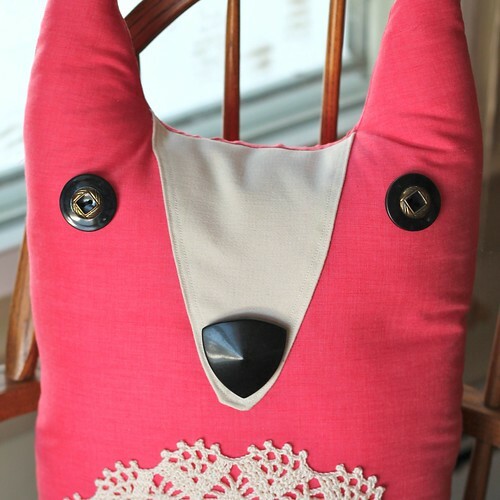 Well done for the use of the sewing machine! I hate getting mine out (have to thread it on my own!!) and prefer to hand seam things when needs be! 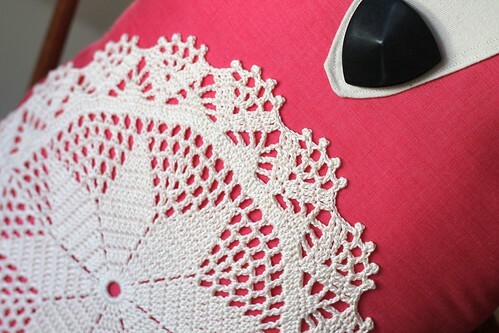 Nice doily pattern with the star centre and fancy picot edging! Threading is never easy, I'm still trying to figure it and it's different on both of my machines!